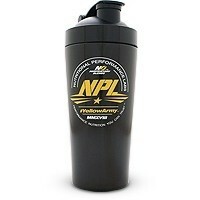 NPL Pro Gains is a mass gainer for lean muscle gains and steady weight gain. To increase weight athletes eat more food than the average person. It is recommended that athletes eat every 2 – 3 hours depending on their goals. Some may find it physically challenging to consume the amount of food needed for growth. 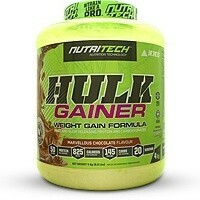 A mass gainer can be used to supplement their daily nutrient and calorie requirements with a easy-to-drink shake. 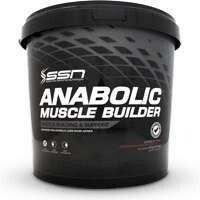 This mass gainer is not designed for hard-gainers looking at increasing weight rapidly. Each serving provides 528 calories for steady and leaner weight gain. This is also achieved by using low GI carbohydrate sources. To get more muscle you need protein. You want to get protein from different sources to increase bioavailability. NPL have used 7 top quality protein sources to ensure you are getting the most from each shake. 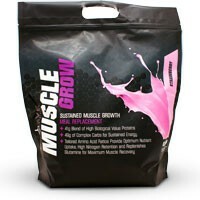 A patented enzyme has been included to increase digestibility of the Whey Protein. The recommended serving is 150 grams of powder which gives 55 grams of protein. Athletes weighing less than 90 kg require less protein per serving and can use 100 grams which will give 40 servings. At the time of this review 40 servings would cost R15 per serving which is far cheaper than most take aways. 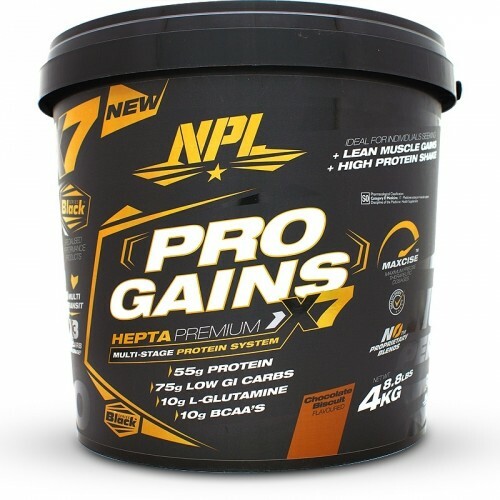 Pro Gains is NPL’s premium mass gainer designed for steady weight gain and is perfect as a quality meal replacement shake. 3 x TRICARB MATRIX: (Lower GI Maltodextrin, Waxy Maize Starch, Isomaltulose). 7 X HEPTA PROTEIN SYSTEM: (Whey Protein Concentrate, Isolate & Hydrolysate, Soy Protein Isolate, Milk Protein, Egg Albumen HI Gel, Calcium Caseinate). Cocoa Powder (only in Chocolate variants), Crushed Cookies (only in chocolate biscuit), Sugar, Wheat Flour, Non Hydrogenated Vegetable Oil (Palm Oil), Fat-Reduced Cocoa Powder, Glucose Syrup, Raising Agents (Sodium and Ammonium Bicarbonate), Corn Starch, Salt, Emulsifier (Soy Lecithin), Artificial Flavour, Taurine, Flavouring, Stabilizers, Salt, Non-nutritive Sweetener Blend (Sucralose, Acesulfame-K), Lactose Hydrolyzing Enzyme – Tolerase L.
This product is manufactured in a facility that uses materials containing milk, soy, wheat, barley, oats, gluten, eggs, fish, peanuts, shellfish and tree nuts. • Add 1 – 3 level scoops to 150 – 400 ml of cold water or full cream milk. • For best results consume one serving directly after training. • Additional servings should be consumed between meals or as directed by your healthcare practitioner / fitness advisor. • Drink a serving 2 – 3 times daily. Been using it for 3 months and saw exceptional gains and growth. Will surely recommend this brand over other products out there in the market. 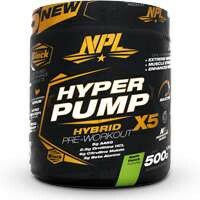 As a new person into the whole gym thing it really is the best product... 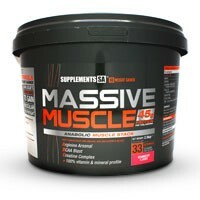 I used it as a meal replacement when I was gyming building muscle and losing weight at the same time and it was amazing now I take it for my muscle growth and still have great results but dont expect miracles... you have to have a clean eating habit and dedication and then this will carry you the rest of the way... amazing product! Very impressed with this premium quality product! The Vanilla tastes like real melted ice cream -- creamy and not overly sweet. Delicious. Of special importance is the low Glycemic Index (GI) carbs used in this product, which is ideal for an intelligent slow "lean bulk" with minimum fat gain. No stomach upset for me with this product. I mix the powder with half milk / half water to add extra nutrients with a low GI. (Milk has a GI of only 35.) Extremely impressed with Supplement World's Customer Service. Delivery at my door (Jhb to Pretoria) within 24 hours of ordering! Haven't tried the other flavors yet, but the vanilla is amazing!!! 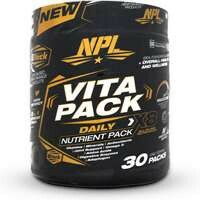 NPL Did great with this one, I take it daily and the results are phenomenal.